It’s that time of year again. The days are shorter, it’s cold outside, and many high school seniors have finished their college applications and are waiting to hear back from schools. This is the culmination of many years of hard work, stress, achieving (maybe overachieving? ), and expectations both internal and external. To make things worse, some friends may have already been accepted to their top- choice colleges, while you remain in limbo. There is no getting around this academic purgatory—it is part of the process. So what can be done to make it less daunting for both students and their families? It is easy to get wrapped up in comparisons, particularly when your peers are hearing earlier and/or getting accepted to places that did not accept you. 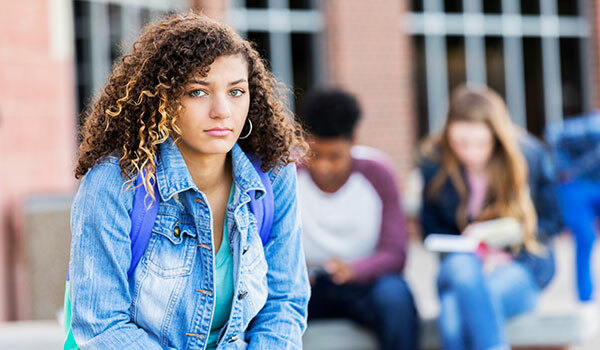 It is important to remember that college admissions can be a subjective process and there are numerous factors that garner an acceptance or rejection. Remind yourself that this is not an evaluation of your worth as a person. Continue to participate in activities you have a passion for, and spend time with friends and family who nurture you. It may be tempting to stop doing your best once applications are in. After all, it’s natural to feel you deserve a break after all these years of homework and tests. But be aware that colleges look at your final semester of high school and may reconsider your admission if As and Bs turn into Ds and Fs. While your academic intensity will naturally power down, don’t let it completely fizzle. Dear Family and Friends, I know you are all interested and only want the best for me. I am very appreciative of that support. While I’m waiting to hear back I ask that you indulge the following request. Please don’t ask me about college. I have finished my applications and am not considering any other schools. Below are the schools I have applied to. Please don’t tell me stories about people you know who had high GPAs and didn’t get in to one or more of the schools I’m applying to. Please talk to me about ANYTHING other than college. This proved effective for her and helped reduce her level of stress. It is fine to respectfully come up with a way to divert the conversation away from college. Use your creativity and figure out what will work for you. Waiting can be as difficult for your family as is it is for you. They are invested in you going somewhere you want to go and don’t want you to be disappointed. They are acknowledging that things will no longer be the same, as you prepare to begin the next phase of your life. For many families, the financial aspects of college are daunting and there is anxiety about how to cover costs. This is a good time to research financial aid and scholarships. There are numerous scholarships out there that no one knows about. Do your due diligence to decrease the financial impact of college on you and your parents. Here is some information about federal financial aid. Jewish Family and Children’s Services, of which Parents Place is a division, also has a Financial Aid Center that offers loans and scholarships to students. Give yourself credit for doing the best you could to get where you are now. This mindset will not only help you with the college process, but as you maneuver through challenges as an adult. While you will likely stay in touch with those closest to you, your lives may be very different in the future. Enjoy the last months together and make memories. Wherever you land next year, vow to become involved on campus and make your college years all they can be. Keep your mind open to new challenges and experiences. You WILL make it through the waiting period to the next exciting phase. Seeking resources to help your child thrive? Attend a workshop, schedule a parent education meeting, or schedule an assessment with one of the Child and Adolescent Specialists at Parents Place. Mimi Ezray, LCSW, MPH, is the Director of Children’s Clinical Services at Parents Place on the Peninsula. Parents Place makes growing up a little easier.